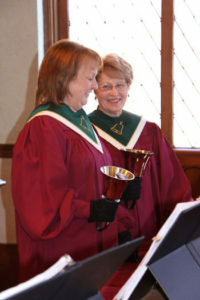 We have many opportunities to praise God, serve God, and worship God through music at Westminster. The organist and the various choirs serve as worship leaders each Sunday. Westminster is a singing congregation and hymns are sung joyfully and with gusto!